Legal disputes have traditionally been resolved by each side taking a position, digging in and hoping that they will prevail before a judge or jury. It can be costly, time consuming and destructive. Most of the time these disputes settle prior to trial but after considerable costs have been incurred. Alternative Dispute Resolution (ADR) affords civil litigants an opportunity to settle their disputes in a fair, timely and cost-effective manner, as well as control the outcome. The informality, privacy and efficiency of ADR are attractive alternatives to courtroom confrontation, while allowing participants to preserve working relationships. 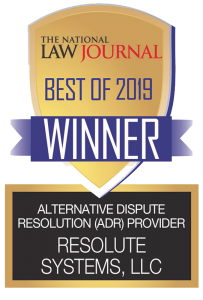 Resolute Systems, Inc. helps attorneys, insurers, businesses, corporations and governments reduce, avoid and eliminate costs associated with civil disputes of all sizes and types through Conflict Management and Alternative Dispute Resolution (ADR). 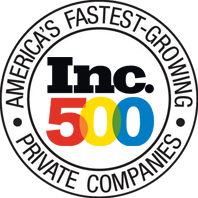 Resolute possesses the integrity, experience and knowledge to help solve clients’ most difficult problems. The Resolute national panel consists of highly skilled, trained mediators/arbitrators such as former judges, attorneys, professors and experts. We use strict quality control procedures and seek constant feedback to consistently exceed client expectations.